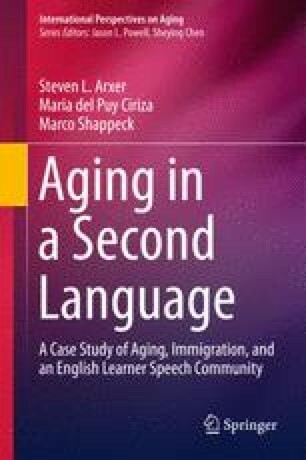 By using older adult immigrant firsthand accounts that we have collected over several years, we show the ways structural, cultural, and interpersonal forces impact older adult immigrants’ conception of themselves as second language learners and their practical ability to move toward English language attainment. These examples also highlight the important role that places of language learning have in transforming self-identify and generating pathways for individuals to make language gains. Our stories capture a group of older adults from diverse immigrant contexts to help us better understand what the constraints are and affordances under which they attempt to acquire the English language. Our approach assumes that insights can be gathered by knowing just how much room may be available in the everyday lives of older adult learners to maneuver within the social and political terrain of immigration. Insights regarding language identity formation and local implementation of language resocialization can be the critical pieces for developing strategies and programs used to transform the acculturation experience of older adult immigrants and, thereby, change conventional attitudes and perceptions of immigrants in the United States.